When my children were babies I waited with baited breathe to discover which language they would use to tell me that they loved me. Would they say “te quiero mama” or would it be “I love you Mummy”? Fast forward a few years and it is actually a moot point. Parent-child love is a language of its own that we begin communicating to each other from the day we meet. So how do we know that our baby loves us? When they are newborn our babies coo at us, they smile at us and they recognize our smell. Studies prove that babies presented with two milk saturated breast pads will turn their heads and open their mouths towards the breast pad with their own mother’s milk on rather than the other pad with breast milk from another lactating woman. It is a fact, our babies like our smell! Even though it won’t be until they are seven or eight months that they begin to develop strong emotional bonds with parents, our babies are aware when we are not around and care about who holds and feeds them. Babies make eye contact and even try to mirror our facial expressions. They relax in our arms and brighten up when we are close by. Later on, at around 8 months, this can often express itself as separation anxiety. Be sure that their cries when you leave them with grandparents/ in childcare are a sign they love you, even though it is tough hearing them cry. How do our babies know that we love them? Through all forms of language, verbal and non-verbal. They know that when they lift their arms up to us, we will respond with an embrace. They look into our eyes, we reply with a smile. And when they babble at us we speak back to them with kind and encouraging words in our mother tongue, the language that comes most naturally to us! Which leads me to a couple of questions: do babies feel, express and interpret loving words equally when spoken to them in multiple languages? Do babies brought up in bilingual families distinguish between the words and the sentiment? 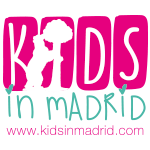 I spoke to Rocio Fernandez , child psychologist at Sinews about this matter and she said it often creates expectation in multicultural families. Which language will the children use or prefer to interact with them in? However, the fact is, from a baby’s perspective, words are secondary. “At the very beginning” says Rocio, “the tone in which the words are spoken and the actions that accompany them play one of the most important roles possible in that tiny human’s life. This tone and these actions slowly build the relationship that binds a baby and its primary care giver”. When it comes to the multiple languages of baby love, Rocio points out that babies learn through their senses. They form an attachment to their caregivers from whom they learn how to interact with the world. A caregiver that reacts in a sensitive, responsive and constant manner will give the baby a secure base from which to explore the world around them. In fact, Rocio explained that if a child was not exposed to consistent loving care as a baby they develop a sense of insecurity that later impacts social relationships. Therefore, although our babies might not understand the words we say to them at first, the tone and body language used to deliver them are very much understood by them. “They understand love and care, and that is how they themselves learn to love”, concludes Rocio.